Have you ever talked to someone who has been on holiday on Elba Island? 3. The ferry costs too much. These are common places, very popular and, at the risk of being considered a partisan, very superficial. We act as if you were not interested in ascertaining the truth of these statements. renting an excellent accommodation and spending very little. Or do you prefer a villa for ten people? What I want to offer you is a simple and immediately practicable method, even if you are not an experienced traveller and you book in the chaos of Booking.com or in the pseudo portals. You might think that to spend less you have to settle for low-end apartments and shabby hotels, in places where you wouldn't even take your dog for a walk / needs. It is a possibility, but for this reason it is enough that you do a search by internet price. It is certain that quality housing cannot cost too little, when you see strange prices, pay attention! ... So it is true that Elba is expensive! we said that the ferry is also considered expensive. traffic jams at the only traffic light (in reality there are two) when you come back from the sea, impossible parking, no living space on the beach, chaos in public places ... where the staff is rude! ♦ It is true that renting a quality apartment on the island of Elba from the end of June to the first week of September is no longer within the reach of many pockets. It's a sociological fact, I can testify directly for having lived the last 35 years of my life as a resident on this island. ♦ It is true that the hour of ferry from Piombino to Elba can cost you as much and more than going from Civitavecchia to Olbia, if you embark in the high season, at peak times and at the weekend. ♦ It is true that in the summer, in certain places and in some circumstances, the same urban discomforts that the unsuspecting tourist ever thought to find on the green and beautiful little island are repeated. ♦ It is true that sometimes instead of eating a pizza and encouraging the local economy, you think you went for a kick in the waiter's shin. Weren't those three really prejudiced then? The question is more complex. This time, let's take care only of how to spend a holiday on Elba Island with little money in apartments of high level and in wonderful areas. Now follow the simple but very effective reasoning. Consider the 12 months of the year, remove November, December, January and February; in this season you must have an absolutely contemplative temperament or belong to the category of cursed poets, otherwise Elba will get on your nerves. March and April depend on the weather, generally you can make beautiful excursions and enjoy the spring blooms that on our island are slightly earlier than on the continent. On some beaches it is fine, but only the healthy descendants of the Vikings do the bathing. Take away July and August, or those 10 weeks of fire in which you have a high probability of running into the hardships I have just shown you and where prices are higher. May, June, September and October remain. ♥ You will be able to afford dream apartments at post-attack Tunisian beach prices. you will notice that these are luxury apartments with amazing sea views. 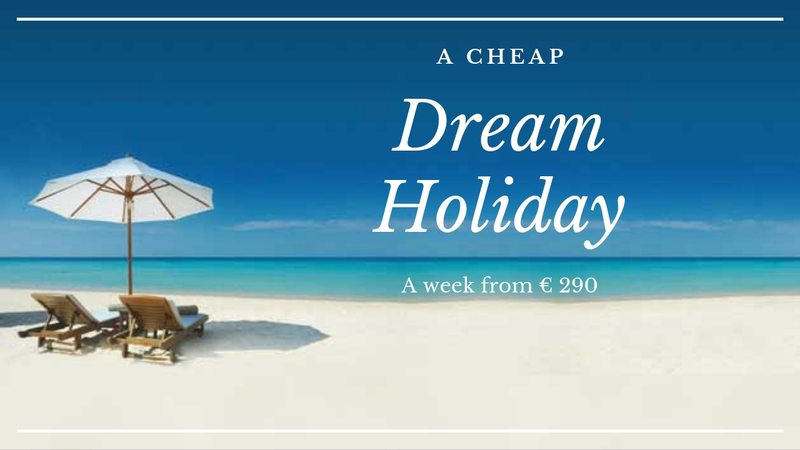 Already by default the price in the 4 months we are talking about is more than halved, plus now there are ongoing promotions that make this holiday less expensive than staying at home. ♥ In recent months the ferry, even on Saturdays and Sundays, will cost more than halved. If you book the apartment with goelba.it you will have an additional discount that will mk hereake the cost easily payable even for a holiday of a few days. ♥ These are the best months to enjoy the maximum beauty of the island. No stress for the traffic, fresh and cordial staff, semi-deserted beaches, first (or last) baths even for the coldest of humans. ... And now you will tell me that you have holidays in July and August! 1. The price cannot be remedied, the beautiful accommodations cost, but you can rent something not exactly on the shoreline and, for the same quality level, the price goes down even a lot. 2. You can search for less crowded areas and beaches than the more frequent ones, it's a good compromise, even in in the middle of the summer there is always a silent refuge for the hustle and bustle of the high season. For public places, it is important the ... luck. 3. For the ferry it is useless to search on internet, it is better to rely on the structure with which you rent, certainly they will have more convenient agreements than those published on internet. If you rent with www.goelba.it, even during the high season weekends you will receive reduced rates and no agency fees, but the prices are still different compared to May, June, September and October. And ask for the Spring Offer!